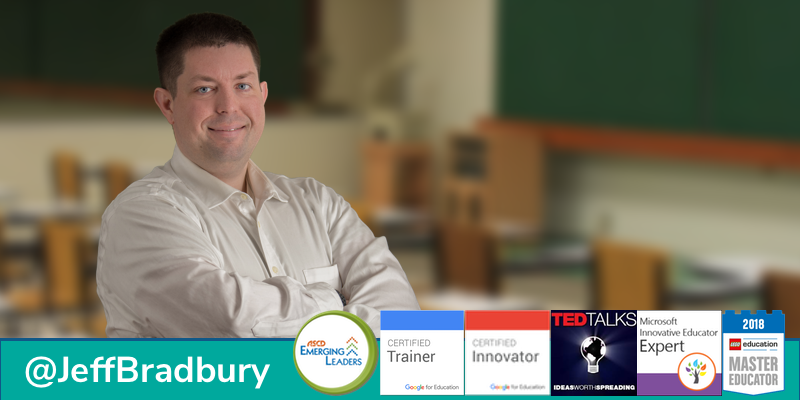 Tips/Tricks/Recommendations for creating an Instructional Technology Digital Learning Website. Find out. 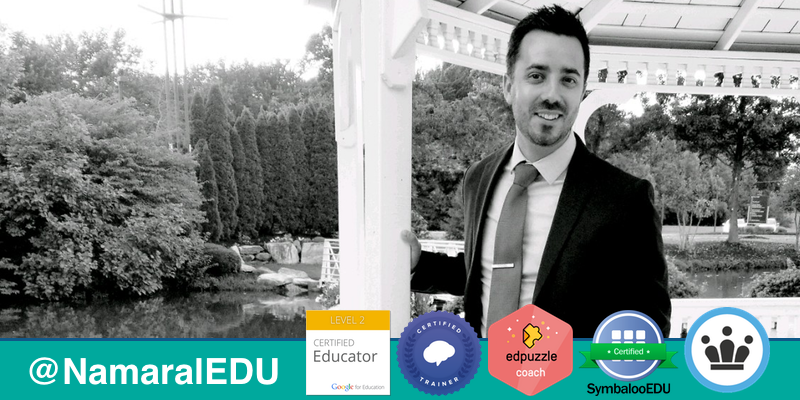 what platforms we recommend and which we don't. In this episode of “Ask the Tech Coach,” Jeff and Nick take a look at several things a Tech Coach can do to create positive relationships with their teachers, administrators, and support staff members. 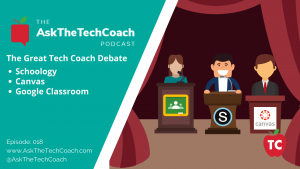 In this episode of “Ask the Tech Coach,” Jeff and Nick discuss our latest post “The Great Learning Management System Debate” and share several ways that Tech Coaches can assist their school districts in creating a digital learning environment in all classrooms. 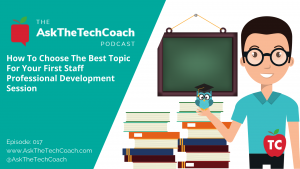 In this episode of “Ask the Tech Coach,” Jeff and Nick take a look at faculty and department meetings and discuss several solutions for choosing the best topic that will help to set up a great year of working with teachers and students. 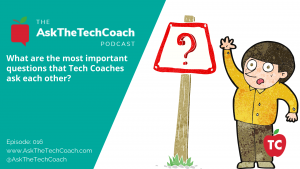 What are the most important questions that Tech Coaches have for each other? 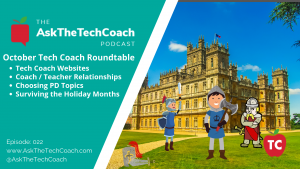 In this episode of “Ask the Tech Coach,” Jeff and Nick answer the questions you have emailed, tweeted and left voice messages about. 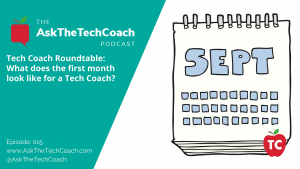 In this episode of “Ask the Tech Coach,” we welcome Kerry Gallagher, Sean Hackbarth, and Michael Krauszer on the program to discuss the many things that happen in the first month of being a Tech Coach. For so many of us, the first month is filled with excitement but also misery when things don't go so well. 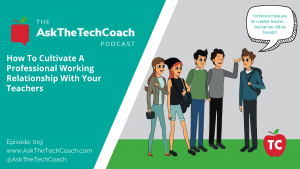 What is important is that we all learn how to get our first few staff encounters to be positive ones so that we have a fantastic program that is built on relationships and not just on tech. 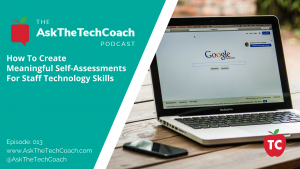 What is the First Thing Tech Coaches Should Do In Front of Staff Members? 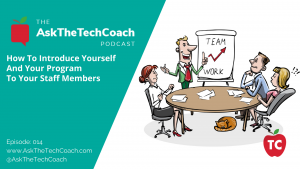 In order to have a successful start to the school year, it is important that you ask questions of your staff and get them to learn about your program and your intentions for working with them as a coach. 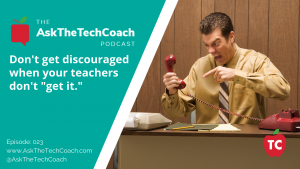 It’s also important that you make yourself available to their needs as teachers. 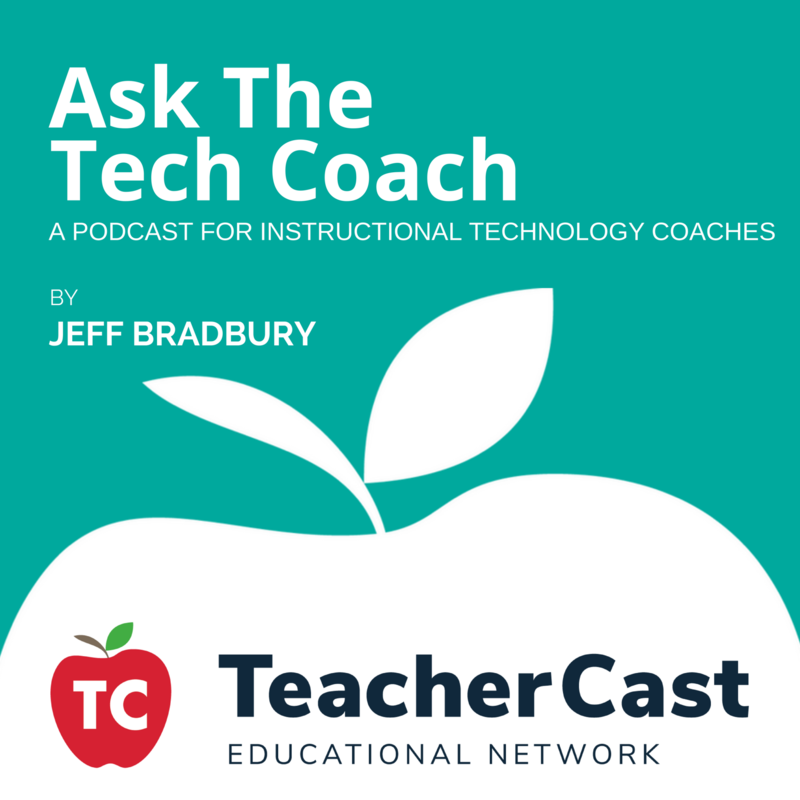 In this episode of “Ask the Tech Coach,” we take a look at how to stay digitally organized while being a Technology Coach in multiple school buildings.